Looking for more restaurants when you visit Paris? Don’t miss out on getting a copy of our Paris Night Guide where we share a long list of our favorite restaurants in the city! 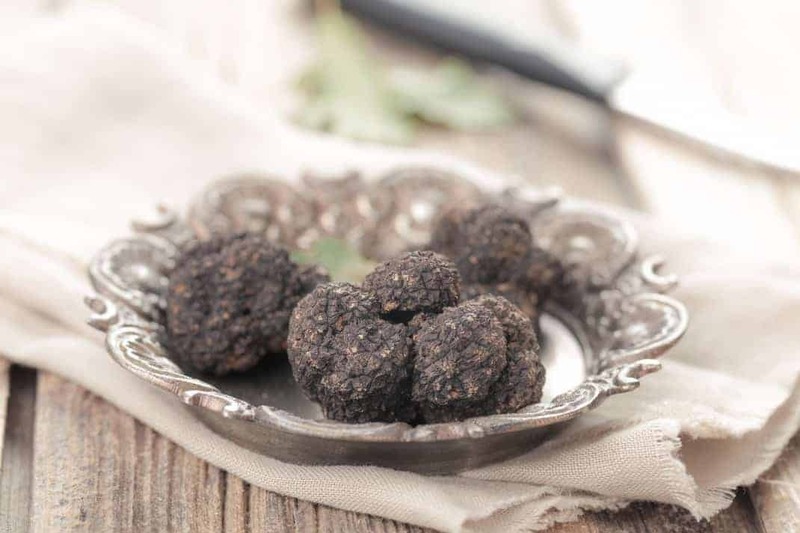 France is a wonderful hunting ground for truffles; one of the finest gourmets one can ever enjoy. Its delicate texture, rich flavour and intriguing shape have been a timeless treasure to the connoisseurs. If you’re looking for a restaurant to eat truffle in Paris, look no further. We have selected the best spots for you to enjoy a gastronomic adventure – from infused oils and cheeses, the best foie gras in Paris to the best truffle pizza Paris has to offer. Peyrassol is a wine producing region in the South of France; evidently, this restaurant is so good at providing quality dishes and wines from Provence. In a medieval room with stone scraped walls, you can try a menu featuring all you can imagine with truffles, from starter to desserts! Truffled egg scramble, truffled gnocchi, truffled crème brûlée or even truffled ice cream… There’s also a fine place to do some Paris-style grocery shopping in the restaurant, if your very truffled meal is still not enough to satisfy your truffle restaurant crush while in Paris! Setting its foot in the shopping giant Galeries Lafayette, La Maison de la Truffe brings the best of French seasonal white and black truffles to all in many different gourmet interpretations. For example, truffle risotto, truffled-infused products such as olive oil, condiments, or cheeses and madeleine! If you can’t make up your mind on whether having a decent lunch or takeaway, or which made in France souvenirs to bring home with… Here at La Maison de la Truffle you got all your questions answered! This restaurant has been so well-known for their friendly service. On top of that, in this cosy yet classy restaurant, you’re guaranteed to a cluster of options for the best of French gastronomy: wine, snails, and foie gras. It seems like they’ve got a secret recipe on their very yummy truffle cream sauce, because apparently their Truffle Foie Gras Ravioli has captured the heart of many, even those across the globe! Ober Mamma has been one of the most popular outlets of the Big Mamma Group (constant long queues in front of the restaurant). Its interior design is so very bold and glamorous that it defines the new trend of chic restaurants in the French capital. Besides its brand image and vibe, the Truffle pasta is definitely mind-blowing: al dente pasta with large slices of freshly cut black truffles…it’s pure foodgasm and definitely makes Ober Mamma a contender for the finest truffle restaurant in Paris! Hunting for the best truffle restaurant in Paris so hard without us: this hidden gem in the Opéra area is a super cool italian restaurant. The place is extremely well designed, with excellent food and upbeat atmosphere. They excel in doing homemade pizzas, and for sure, the Black Truffle pizza is crème de la crème! There’s even a secret cocktail bar (with mocktails too) at the back of the restaurant if you fancy a nice cosy drink after. Who doesn’t know Pierre Hermé when we talk about macarons and desserts? But, do you know their White Truffle Hazelnut macaron? Hunting for the sweeter taste of truffle in a Paris restaurant should bring you right here. It’s hard to imagine the strong flavour of truffle would go well with the subtle nuttiness of hazelnut, somehow Pierre Hermé managed to pair them up so well that the macaron has a very well-balanced richness. The smooth paste of white truffle wraps up a hazelnut, creating the soft and crunchy texture in the mouth. This is absolutely heavenly! Wine Tasting in Paris: Where to Go?